From regular, small scale, one telescope sessions that bring the Universe to the public on a regular basis, to large, one-off mass observing sessions, every single one of the Galilean Nights events has played an important part in bringing astronomy to hundreds of thousands of people around the world. All event organisers have done a brilliant job at running activities and are deserving of thanks and appreciation from all of us. Best "Plan B" for those bad weather afflicted events! The recipients of the awards will be chosen based on the event reports. If you think your event might be worthy of an award, read through the following descriptions and keep the categories in mind as you complete your report. 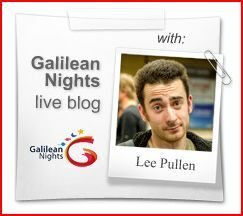 Outstanding Galilean Nights Event: engaging with the public isn't necessarily the number of attendees or the scale of the event, but the quality of the visitor experience. This award recognises that an excellent outreach event might just be one person with one telescope really connecting their audience with astronomy. Largest number of registered events held by a single group: where an organising group has made an effort to take astronomy to many different locations in their area. Highest attendance at a single registered event: large-scale one-off events aren't easy to carry off on a regular basis, projects such as Galilean Nights gives an opportunity to "go bigger" and this award is for the the event with the largest number of attendees. Most innovative event: where organisers have come up with an imaginative or unusual approach to enthusing the public about astronomy. Best "Plan B": something for those in bad weather afflicted areas, where organisers brought astronomy to their audience through their Plan B activities!